Although most sales professionals dread the process of cold calling to initiate new deals, cold calling services can be very effective. As a sales professional, you are familiar with the common outcomes of cold calls. Typically, the strangers you phone hang up before you can complete a sentence. Fortunately, there are ways to find success in cold calling. You can generate more sales for businesses and increase your profits as a result. The real estate industry, for instance, offers great opportunities for cold callers. As the real estate industry continues to grow, real estate agents are looking for quality cold callers to generate them leads. Successful sales professionals can offer such services and increase their profits. Continue reading to learn how to provide the best real estate cold calling services. To provide the best cold calling services for real estate agents, establish effective opening strategies. The most successful telemarketing salespeople open calls in captivating ways. If you fail to intrigue customers from the top of the call, they will hang up before you make your pitch. The best way to open a call is with questions. Make the potential home buyer feel like you care about them. Your target may start asking you questions at the beginning of the call as well. Their questions typically revolve around your specialties, the neighborhoods you are familiar with and the houses available. They want to determine if they should spend their time on the phone with you or not. To keep them on the line and prove your worth, respond by asking them more questions about what they want in an agent, a neighborhood and a home. By implementing successful opening strategies, you will provide top-notch cold calling services for real estate agents. Another feature that real estate agents look for in cold calling services is the ability to provide knowledgeable recommendations. Meet with the real estate agents you will be working for. Ask about the services they offer prospective home buyers. Inquire about the particular properties that they sell and the areas that they sell in. Then, discover what different types of prospective home buyers want in a property. A family of seven will not be interested in two bedroom apartments in an unsafe area. In contrast, single people usually do not want to hear about large homes with five bedrooms. 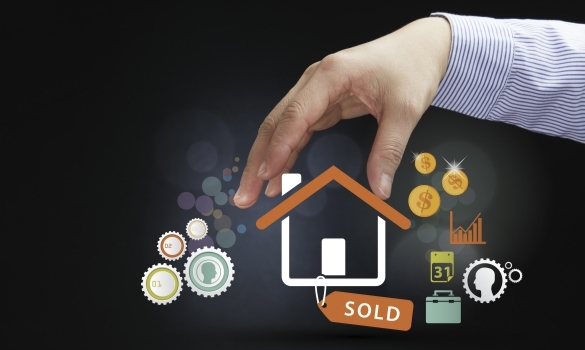 As a cold calling service provider, you need to sell homes appropriately. To do so, learn the ways of real estate and offer suitable recommendations that are specific to the agents you are working for. While scripts are helpful during cold calling, real estate agents favor sales professionals who can successfully go off-script as well. After all, potential home buyers can usually tell when calls are scripted. Many feel a lack of personal connection and choose to end the call without making an appointment with an agent. To avoid ending cold calls without enabling follow-ups, learn how to go off script when necessary. If an opportunity arises for you to connect with the stranger on the other line, take it. You can always move back to your script when the time is right. To get hired by a real estate agent, learn how to succeed unscripted. Since real estate agents are always looking to obtain new leads, lead generation is an advantageous feature to offer in your cold calling services. Your primary role is to reach out to the prospective home buyers on your client’s database. However, if you want to prove your value to real estate agents, you need to explain how you can generate new leads off of the list they provided you with. Whether you gain insight from prospects during your cold calls or conduct research on your own, generating new leads for your clients will boost the value of your cold calling services. If you have not found previous success in this area, learn how to generate leads before conducting your first cold call. Finally, include finished statistics in your real estate cold calling services. Many real estate businesses hire sales professionals to conduct their cold calls because they are low on time. They prefer to spend their time out on the selling field rather than inside the office trying to generate leads. One of the most time-consuming components of cold calling is keeping track of the data. In order to prove that you have made strides in the selling process, you need to record information after each call. After all, customer success management improves return on investment. Use up-to-date technology to record each call. Invest in a CRM system that connects each call to the result. If you made a call to a prospect who ended up purchasing a home from your client, you need that information. Include such data in reports for real estate agents to portray how beneficial your cold calling service work is to them. Increase your skills and profits by learning the best ways to cold call for real estate agents. Firstly, establish effective opening strategies to keep prospects on the line. Then, gain knowledge about the industry and your clients’ real estate businesses to provide good recommendations. Learn how to go off the script to engage with potential home buyers. Generate new leads for your real estate agent clients. In addition, collect data from every call to provide agents with finished statistics. If you follow these tips, you will provide the best real estate cold calling services.